Accounting software continues to evolve decade after decade. It started out as one big massive complicated set of programs that only large companies could afford. Cloud accounting is the modern solution. 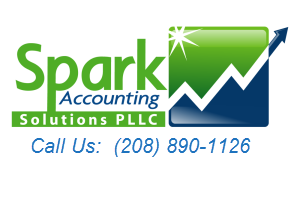 Today’s accounting systems are designed to meet the core requirements for many businesses. Retail and other businesses will likely have a separate point of sale system. A cash register to ring up sales and a payment collection process to take credit cards, cash, and other forms of payment. Micro apps can connect your accounting system to Stripe, and major systems that do several of the above functions. There is a multitude of cash flow and accounts receivable collection apps. These apps help you get paid faster. They can start collection processes when your customers are slow to pay. This category also contains lending apps if you need a business loan. Apps like Zapier are available simply to connect one accounting app to another. An example, A2X brings Amazon data into QuickBooks. Dozens of apps are available to help you enhance your reporting. They can create a dashboard of metrics, plan a budget, or present a graphical view of your financial and non-financial key performance indicators. These include Fathom, Corelytics, LivePlan, Spotlight Reporting, and Qvinci, to name a few. If you have a function in mind that you wonder if your accounting system can meet, give us a call. We’ll be happy to discuss your options. There’s an app for just about anything these days.